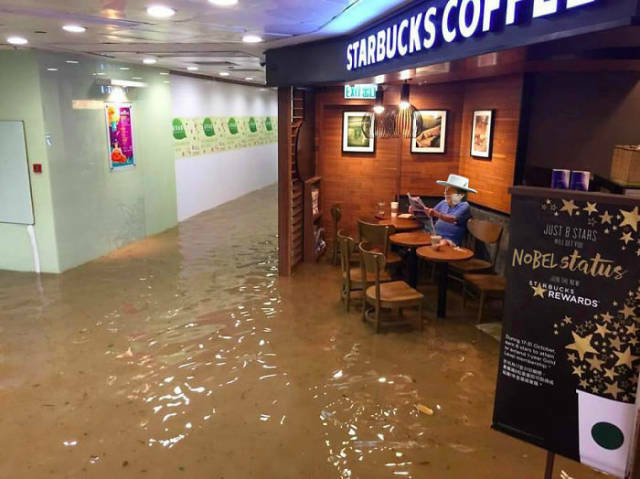 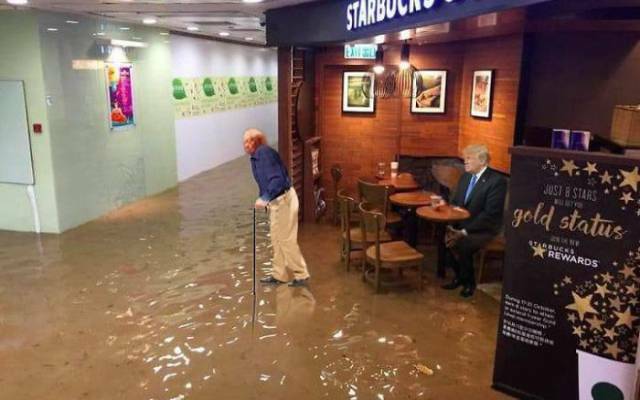 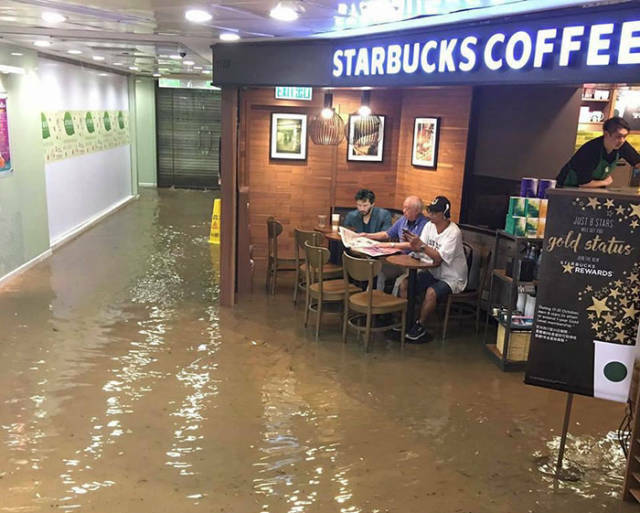 The picture of this elderly man reading a newspaper and not being bothered with flood, was taking in a Starbucks in Hong Kong. 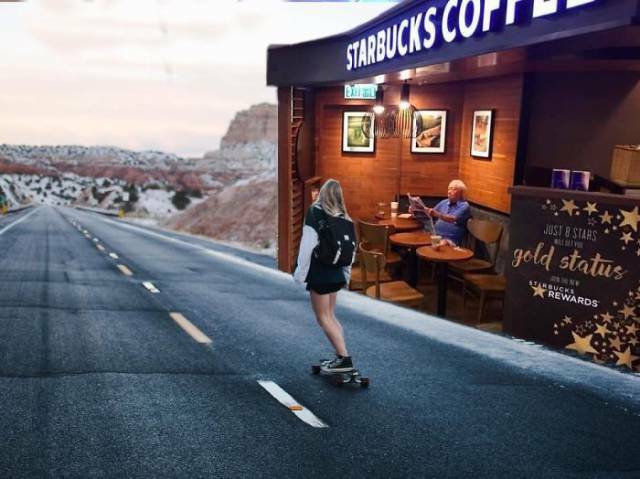 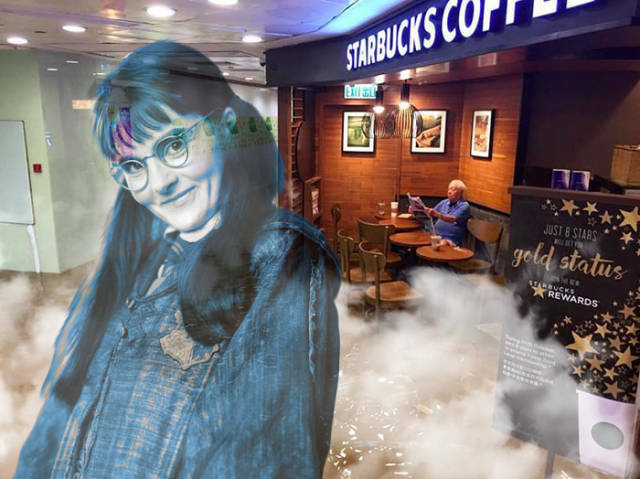 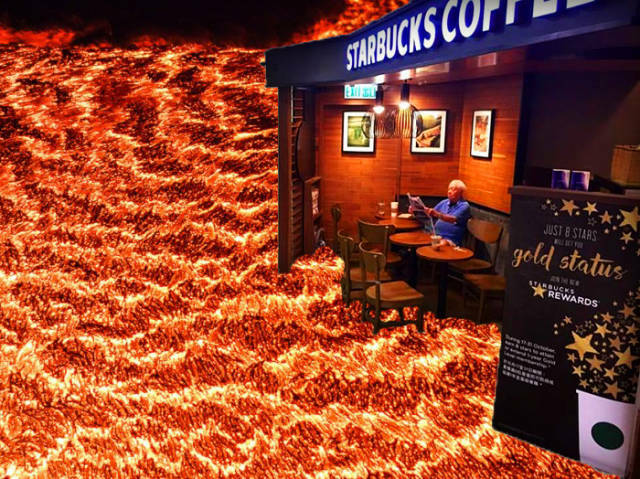 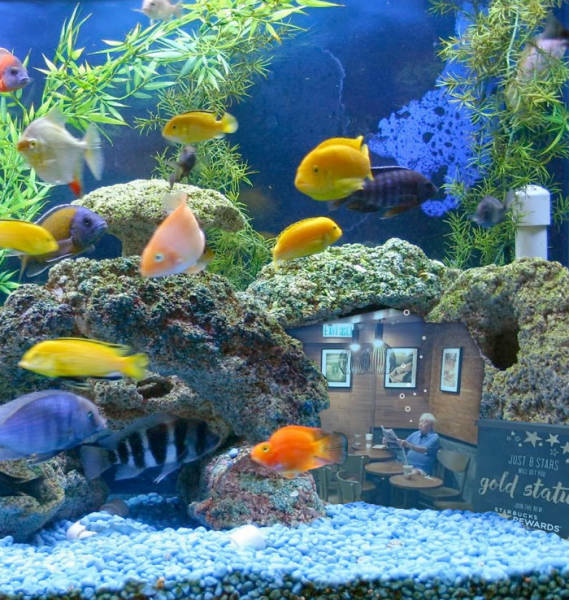 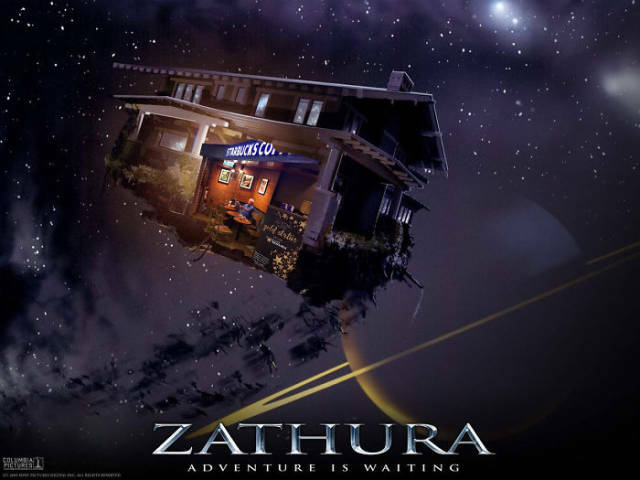 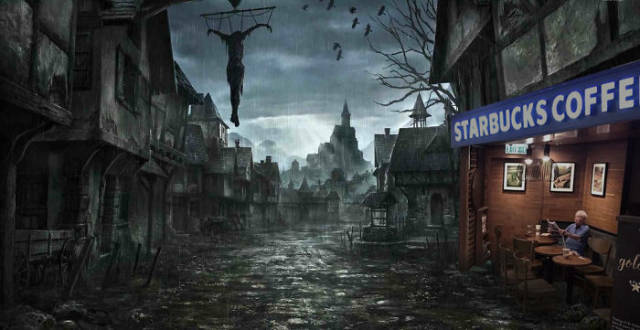 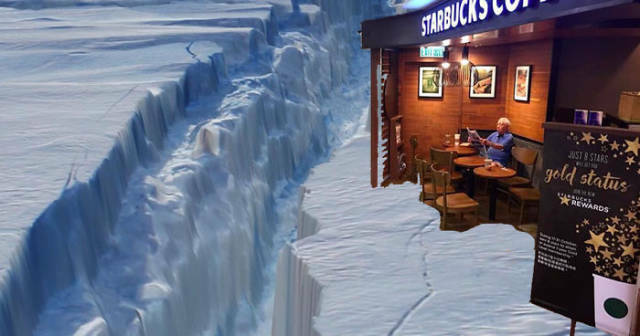 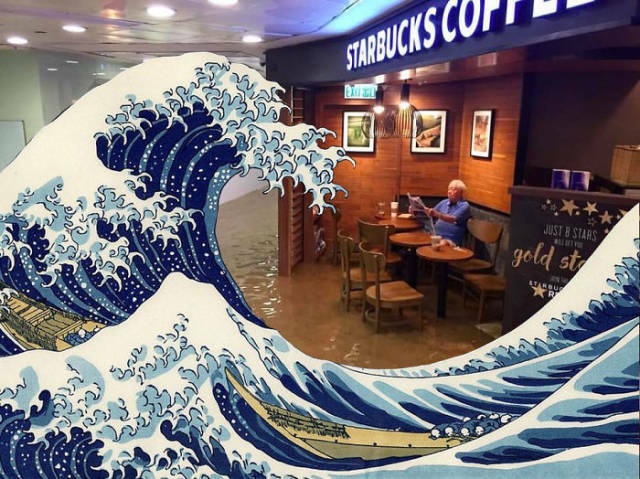 He was dubbed "Starbucks Uncle" and inspired an insane Photoshop battle. 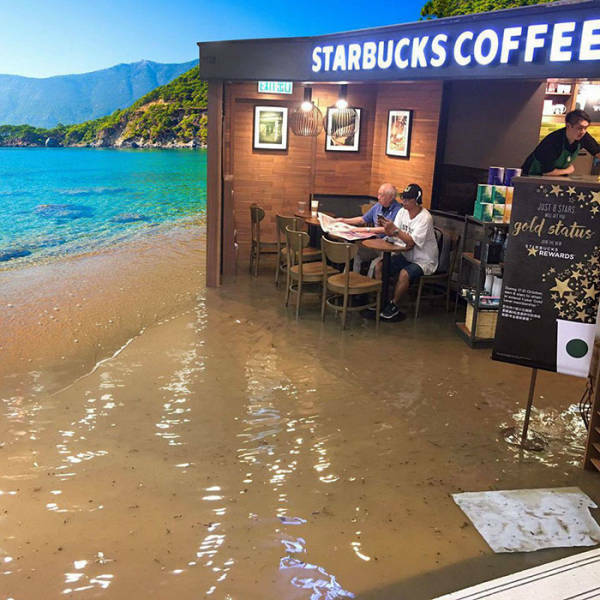 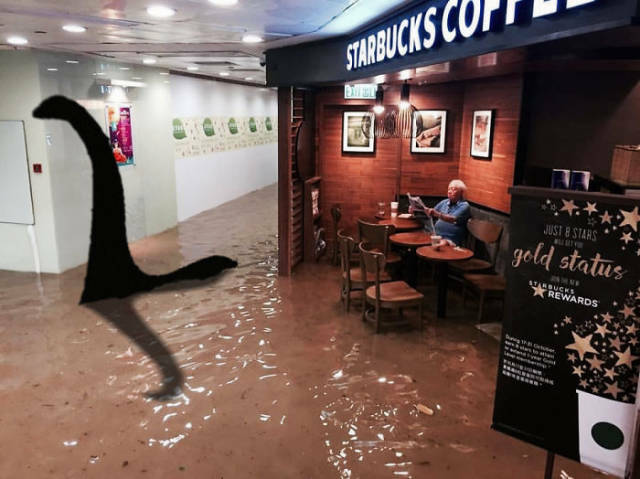 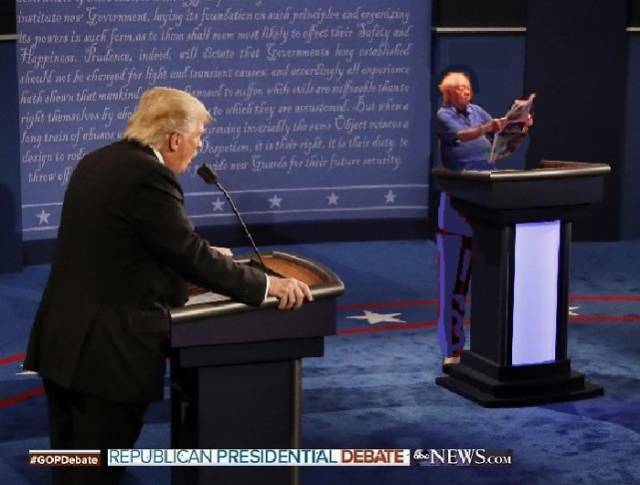 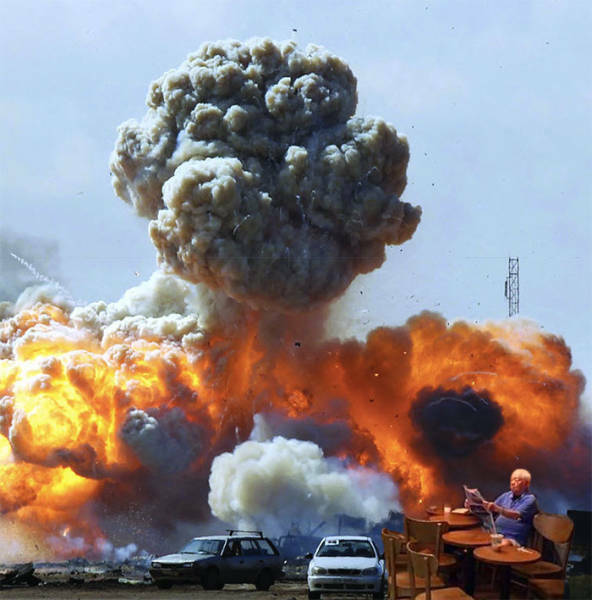 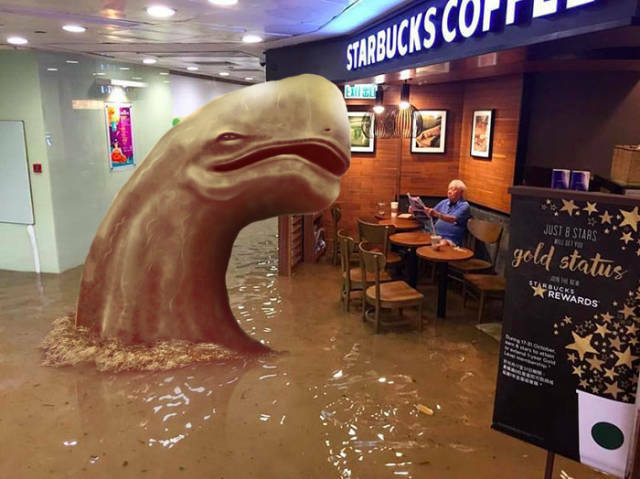 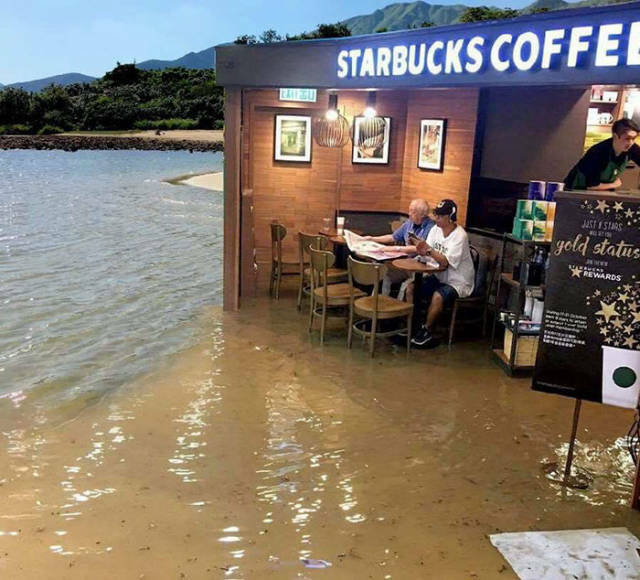 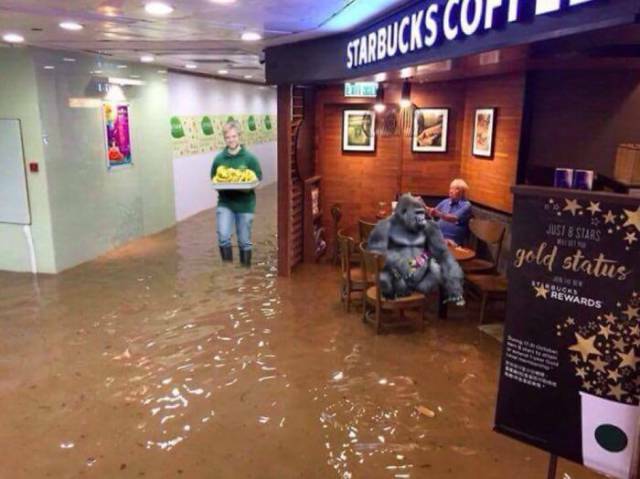 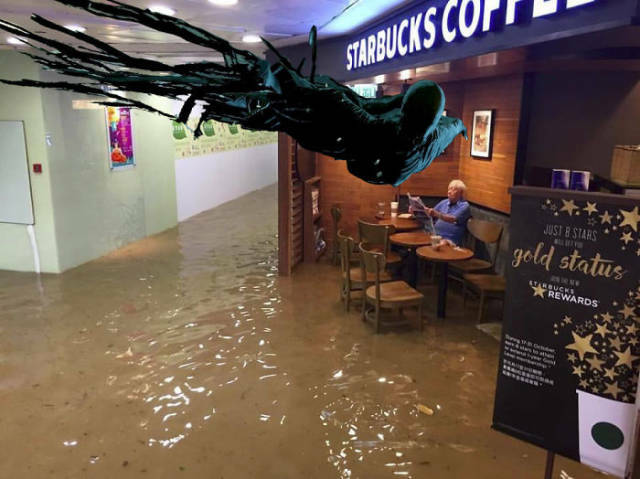 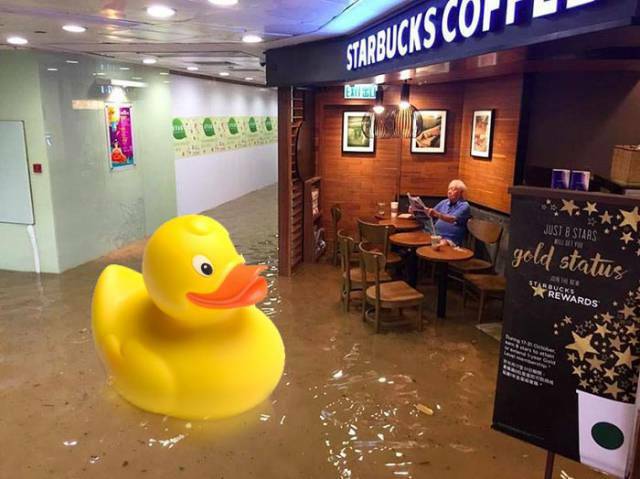 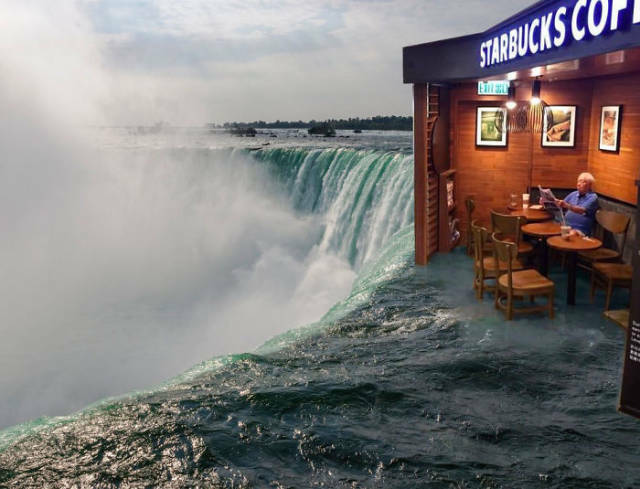 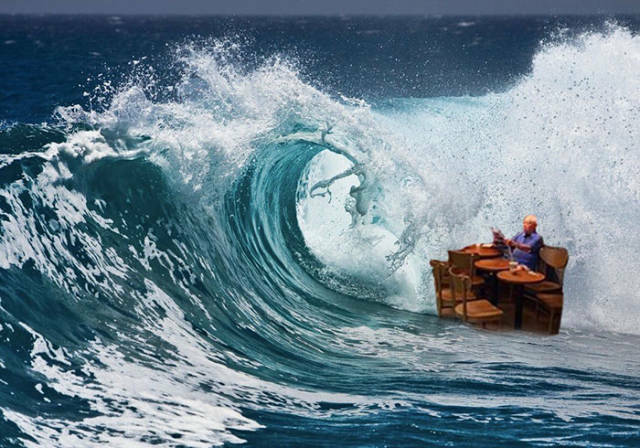 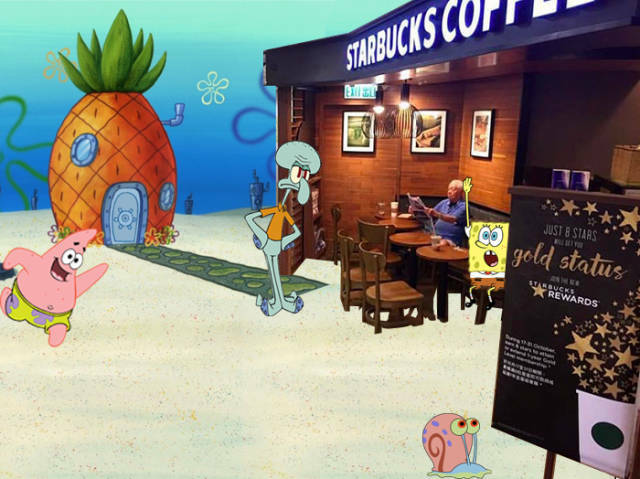 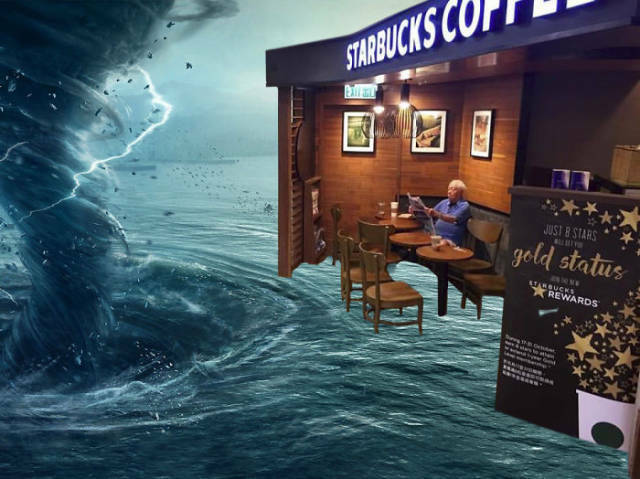 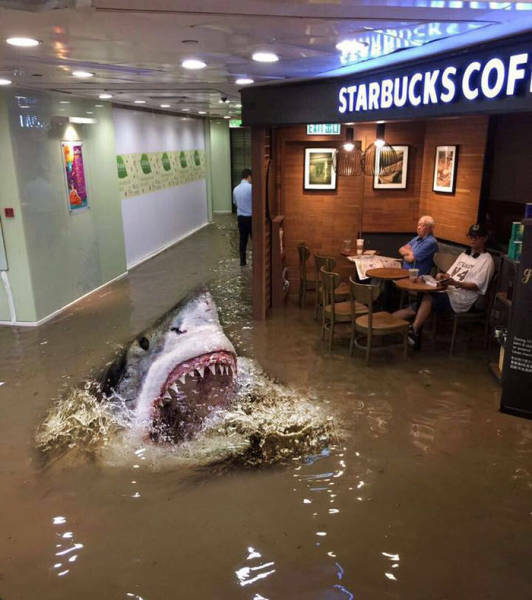 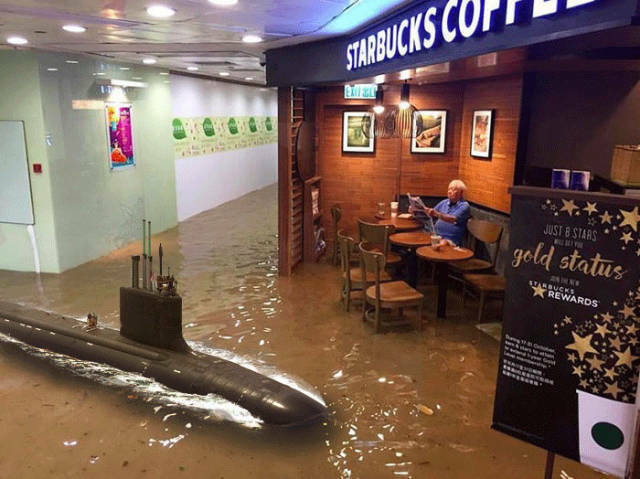 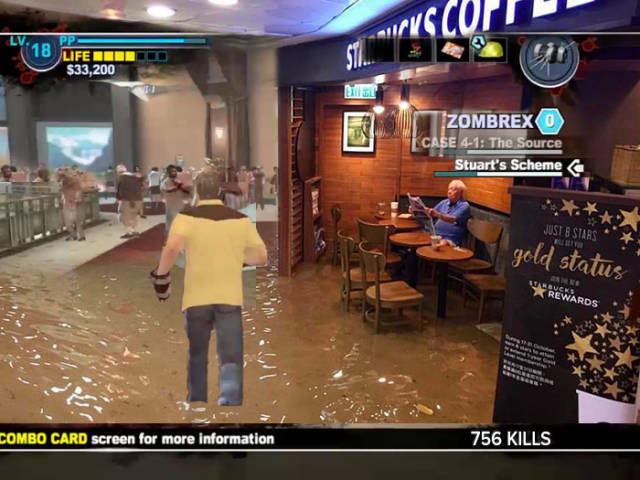 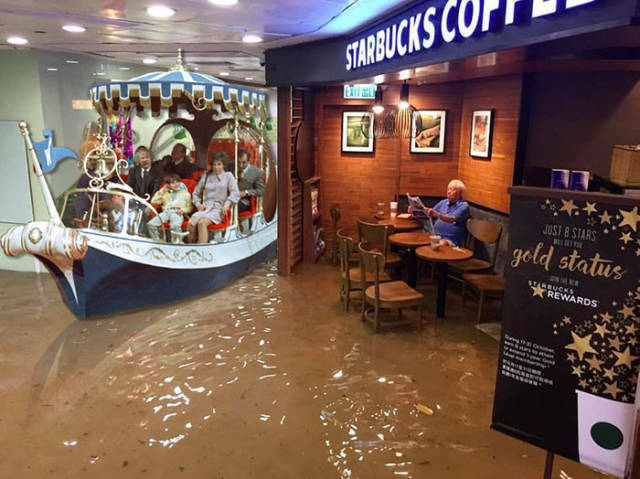 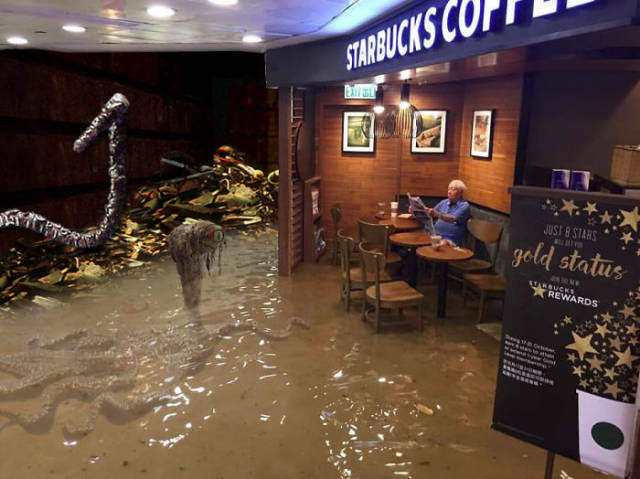 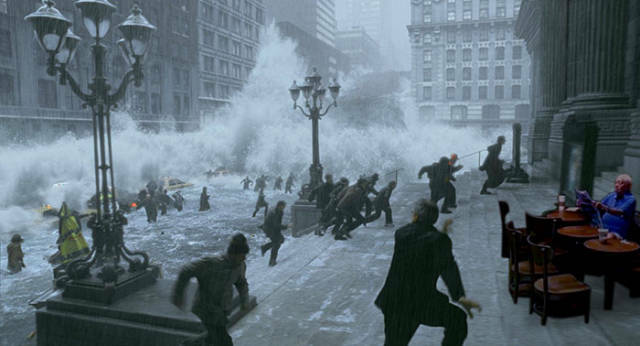 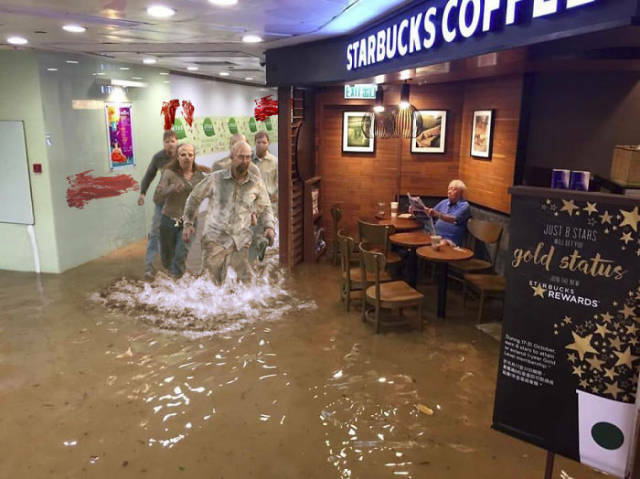 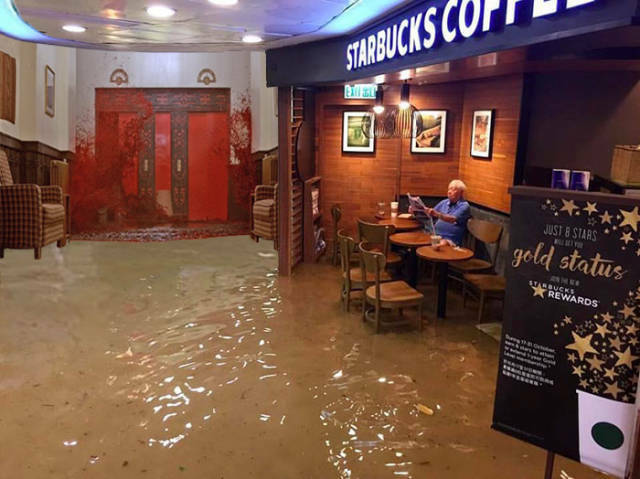 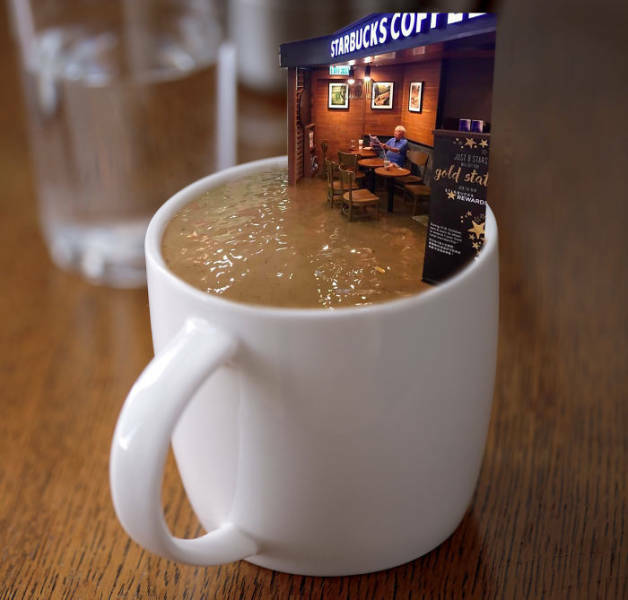 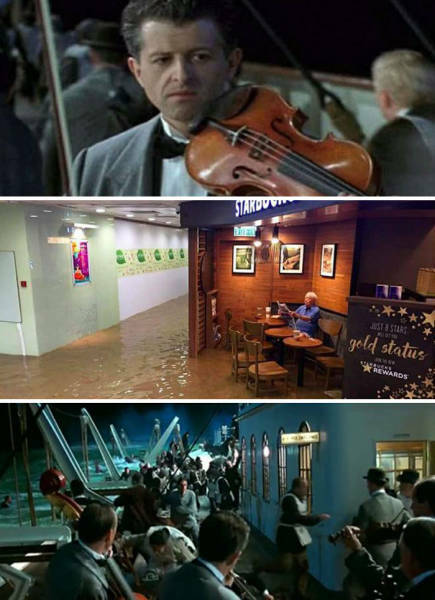 2 responses to "Man Sitting In A Flooded Starbucks With No F#cks Given, Triggers Epic Photoshop Battle (40 pics) "